Late last week a young boy by the name of Ahmed Mohammed brought a clock/suitcase hybrid into his school to show off to his teacher at his Texas school. He was arrested and interrogated by police for over an hour without the presence of a lawyer or his parents because his teacher felt “intimidated” as the clock resembled that of a suitcase bomb in her eyes – not considering the fact that a 14 year old has no frame of reference for such a thing, nor the very apparent lack of C4. The 14 year old child used the word “invention” for his contraption while being placed in front of national TV cameras, and it’s got them in an uproar. Ahmed Mohammed didn’t invent a damn thing. Clearly. He took two things that already existed – took one of them apart – and stuck it inside the other. 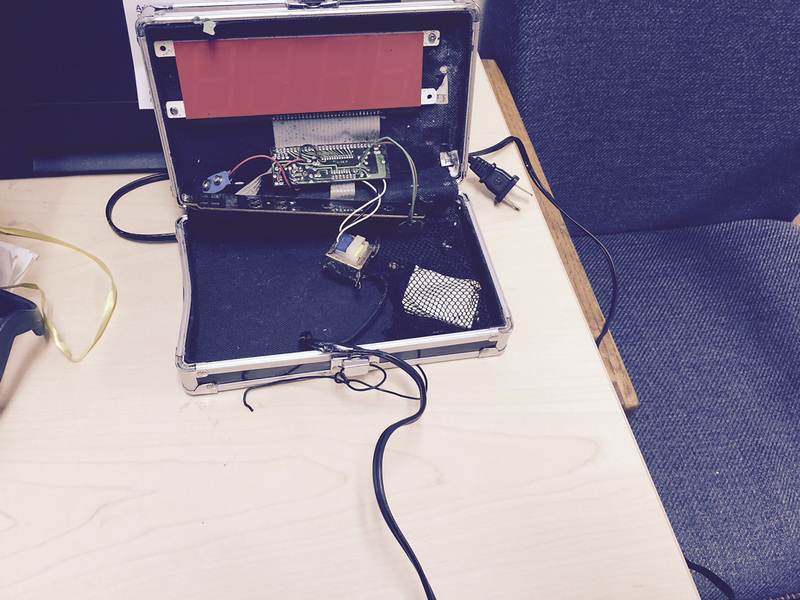 Ahmed’s clock is a clock + a suitcase. What he did requires no special brilliance or insight into electronics and fails to make him special. It is not indicative of genius and wouldn’t win the science fair even if EVERYONE else in the school made those lame volcanoes. Well, I don’t have a PhD, and here I am stating the clearly obvious as well minus any insanity. Can I have a brownie now? Where’s my book deal? Oh, there’s more to the story? You mean we’re focusing on the wrong thing? Here I am a 29 year old IT professional writing about a young man that took apart a clock, who – like me – started taking things apart at a young age out of a sense of curiosity for how they work. I started disassembling things as soon as I could hold a screwdriver and growing up there probably wasn’t a piece of electronic equipment or complex mechanics that I hadn’t taken apart and put back together hoping it worked by the time mom got home from work. That’s the beautiful spark of curiosity that got kids like me interested in a lifelong passion, and like Ahmed there were things that I slammed together and called inventions – one – an alarm clock with speakers that I replaced with bigger, louder speakers. Is that anything special? Nope. But it was cool to me, and when I was 14 it was something I did that no one else had done, not to mention that I had the loudest alarm clock for miles. This is the birth of the tinkerer, and that’s really cool to see from my perspective. I love seeing kids tear crap apart and put it back together. I don’t expect every kid to know how to use a breadboard and soldering iron at 14, because we all start somewhere – and THIS is where we start, and sometimes we call the crap we do an invention because we aren’t adults and because we haven’t been tainted by the trouble of filing a patent yet. My curiosity and love for tinkering never got me arrested though. That’s the point, that’s why media attention to this is OK, not because he called his traveling clock an invention or because the President had an invite to the White House for him. That’s also why it’s OK for tech companies to jump on the bandwagon of free advertising and send the kid all kinds of free stuff that may foster this interest, because a kid did something he thought was cool and because of his skin color and last name he was arrested for it – detained without warrant – and questioned, at 14, without the presence of his parents or a lawyer. Ahmed’s clock is supposed to be his introduction to my world, instead it was a crash course in Islamophobia and racial profiling. Dawkins – aka white privilege personified, is meanwhile convinced that Ahmed Mohammed was an inside job. Can we stop taking him seriously now, once and for all? NextIs our society more easily offended?